Thunderbolts Festival is designed to recognise and celebrate the local environment, the organisations and community members who dedicate much of their time in caring for it. The Festival itself has grown and evolved over 18 years and has become the prominent feature on the Uralla local event calendar. 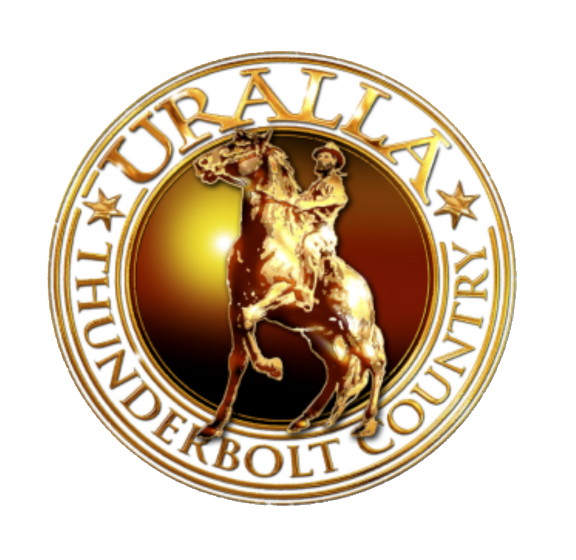 In 2016 the event moved into a new era of no longer being under the umbrella of the Uralla Shire Council and now auspiced by the Rotary Club of Uralla. This meant the Committee were supported by Rotary members who gave up their time to assist with erecting gazebos, allocating market stalls and selling wristbands & raffle tickets. It was a much better arrangement which has been hugely appreciated by the Committee and, along with Councils commitment to support the community Festival, will ensure the survival of this vital event. Thunderbolts Festival 2016 commenced with the Thunderbolt Inn Street Parade at 10:30am. The theme this year was ‘All things Gold’ and the parade with an impressive display from the Uralla community with over 200 bikes from Oxley Riders and more than 20 Classic Cars. 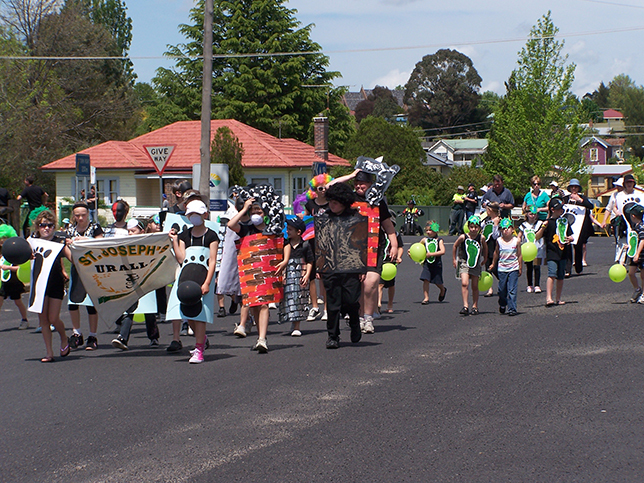 The participating schools were Uralla Central, St Josephs & Rocky River, and there was TG’s Childcare, Backtrack Youth Works, Luth the stilt walker and Bernie Kennedy was right in the saddle as Captain Thunderbolt holding up the authentic Cobb & Co horse drawn coach as well as other unsuspecting participants in the parade! 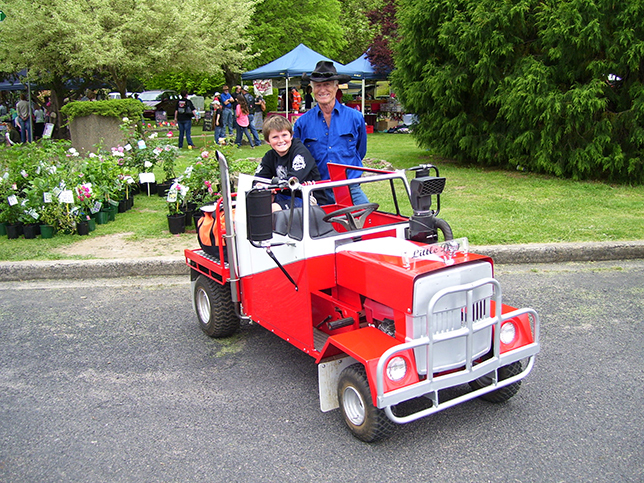 The New England Antique Machinery group featured 5 restored tractors and a working machinery display in the park, Uralla Mower Racing Club also had race demonstrations in the park, plus there were fire engines from Kentucky, Diggings and the town brigades. Adam Marshall MP was introduced by Rotary Member Graham Carlon, and officially opened the Festival. Backtrack Paws Up group provided the crowd with an inspiring demonstration of dog handling and dog high jump, and Matt Woodrow performed some daring acrobatics & juggling fire lit batons whilst on a table balancing on a rola board. Live music by Jug Addicts took the stage and kept toes tapping and the crowd of approx 3,500 grooving and smiling to their unique jug music tunes. 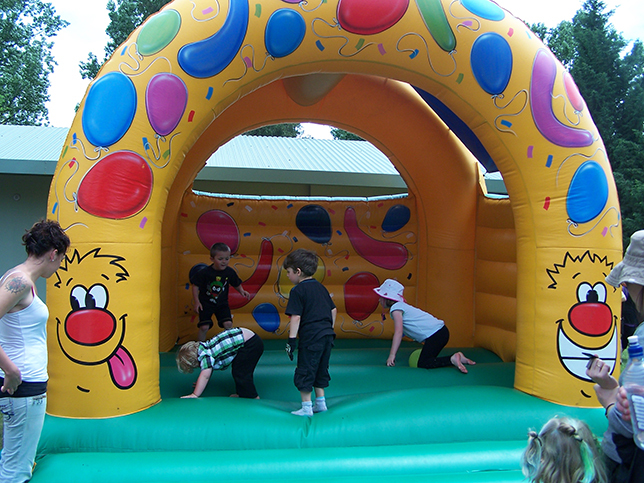 A vibrant and colourful choice of activities for kids were; bungee trampolines, large & small jumping castles, inflatable giant slide and the kidz gym – these were all very popular with a line up all day, especially the bungee tramps! Over 500 wristbands for $2 were sold and kids accessed all the equipment all day. There was also a hula hoop competition. 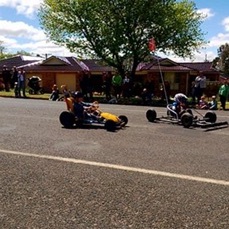 The Phoenix Foundry Billycart Derby saw the largest number of entrants in many years, the event has been building since Bev introduced the inter-town challenge with Walcha at their Mountain Festival. There were 20 carts all with their own homemade inspired ideas and 29 entrants (one who even came all the way from Willow Tree!). There was a new format of time trials rather than just straight races, this gave participants many opportunities to run their carts down King Street. 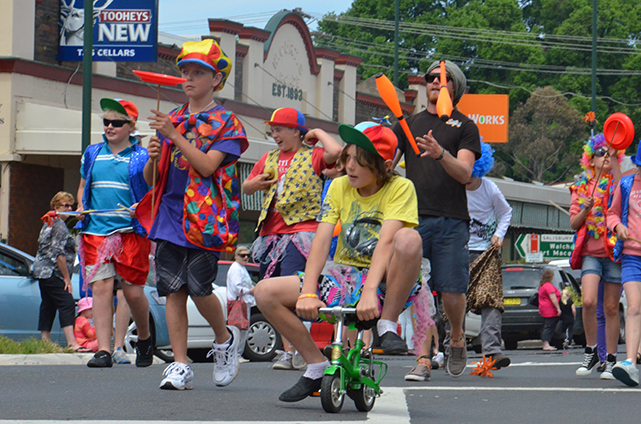 Thanks to Foodworks, Subway Uralla, KFC, McDonalds, Hungry Jacks, and the Belgrave Cinema for vouchers, and the Billycart Derby organising team of six - who are experts in coordinating this activity. The market stalls were down by approx a third due the forecast of rain and this caused a cancellation of a number of stalls with the final number around 31 which still provided an interesting choice of items for sale. The Uralla VIC reported that they arrived with 80 coins which went really quickly, Sand Art and the face painting were both chaotic the whole Festival. 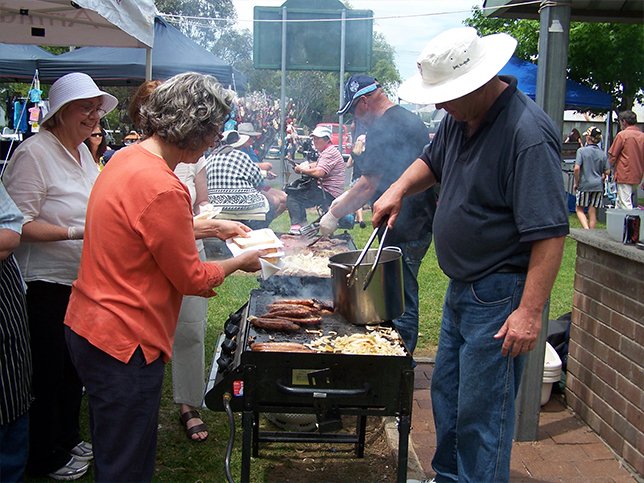 The Committee prefer not to permit commercial coffee or food stalls at Thunderbolts Festival, our aim is for the local Uralla community and not-for-profit groups to raise as much money as possible at the event and they report this is the single biggest fund raiser each year for these groups. Our focus is also to encourage Festival goers to visit the local Uralla businesses and drive more money back into the Uralla economy. The local supermarket traded late and reported it was well worth it, the butcher and both Pubs were all very pleased with their results from the Festival weekend. Fireworks by Holy Smoke of Guyra were let off as usual in the car park of the Bowling Club at 8:30pm, a brilliant, colourful display lit up the sky as the finale of the event. Advertising efforts for an alcohol and smoke free event was respected by all participants and St. John Ambulance reported an incident free event. Billycart Derby: Many thanks to the team Julie & Matt Myhill, Megan Barnden Hyde, Max Shaeffer and Dave Reddon for doing a fantastic job. Street Stall: Thank you to the volunteers who assisted with the sale of tickets: Ruth Jackson, Margaret Hedges, Moreen Meredith, Esma Nelson, Marj. Gream, Daphne Field and Bruce Stubberfield. 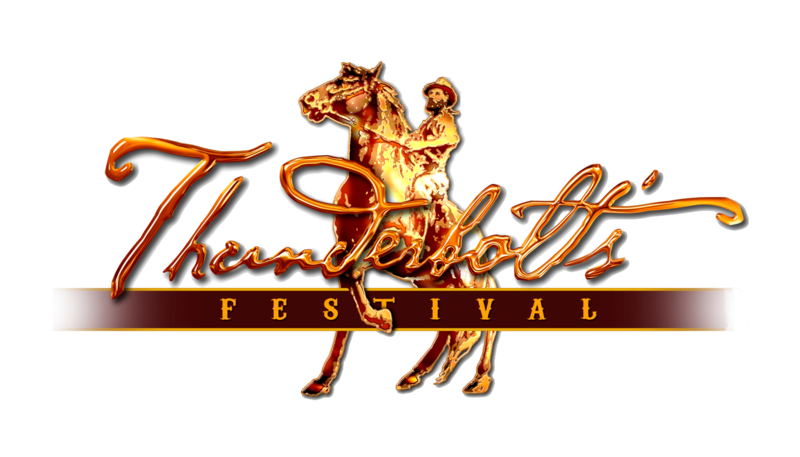 Lastly, the festival is a huge undertaking on the day…….recognition, and words cannot express enough to say thank you so much for their generous support and time making Thunderbolts Festival happen. Paul & Natalie Hobbs, Russ & Teresa French, Narelle Solomons, Claire Mailler, Sue Manton, Bruce Stubberfield, Dave Reddon and Cheryl Nolan. WE LOOK FORWARD TO SEEING YOU AT THIS YEAR՚S FESTIVAL!